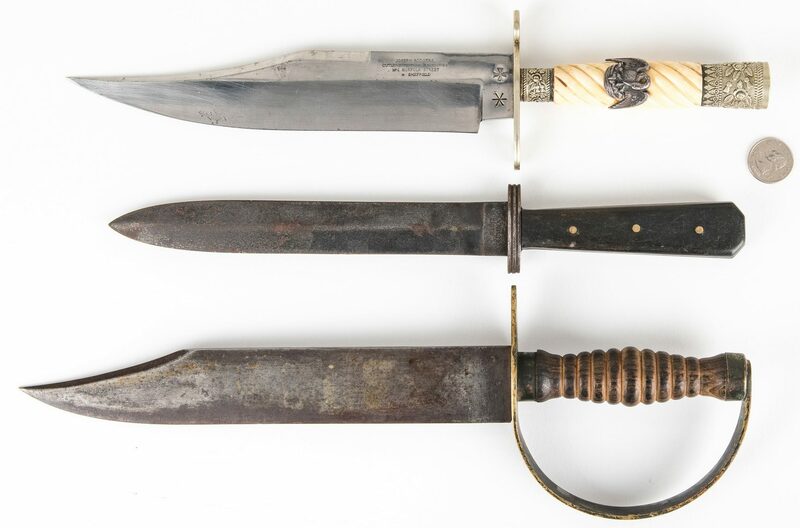 Three (3) 20th Century Confederate style knives with 19th century elements. 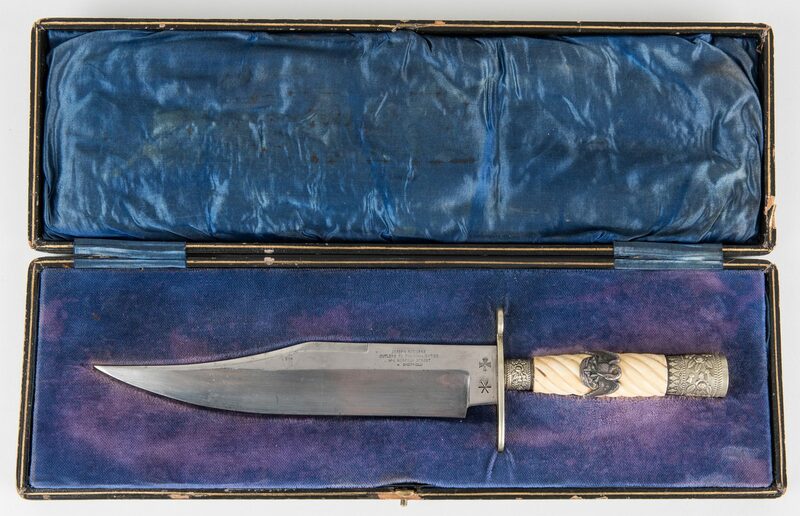 1st item: 20th century Joseph Rogers Sheffield Silver Mounted Clip Point Bowie Knife with Presentation Box. 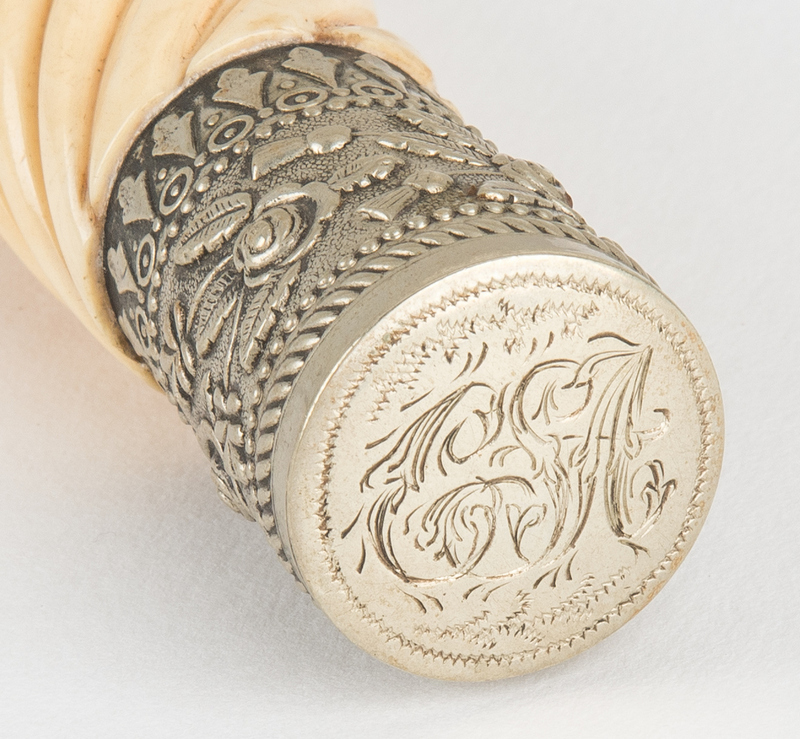 Ivory grip with silver plated medallion depicting the Louisiana state seal, a pelican feeding her young, silver plated pommel and ferrule with foliate decorations, "S" shaped cross guard, clip point blade. 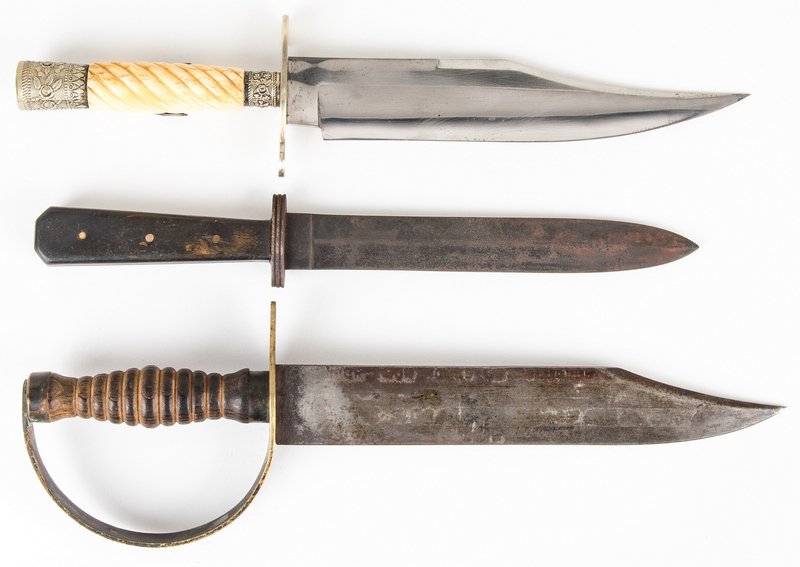 Blade marked "Joseph Rogers/Cutlers to Their Majesties/No6 Norfolk Street/*Sheffield", ricasso marked with a Maltese cross and a six-pointed star, top of guard marked "Louisiana Tigers", top of pommel marked "CSA" in script lettering. Includes Faux black leather presentation case stamped "Colonel J. M. Williams, C.S.A. ", "From", "The Officers of the 15th". Blade length – 9 1/8". Overall length – 14 1/8". Case – 1 1/2" H x 17 1/4" W x 5 1/2" D. 2nd item: 20th century CSA style Bowie knife in the style of an Officer's Cooper Iron Works Clip Point Bowie Knife. 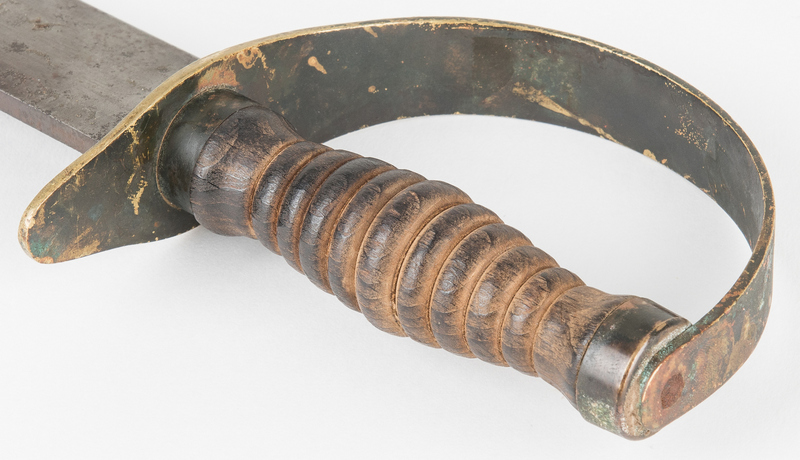 Turned wooden grip, sheet brass D guard, clip point blade. Includes photocopies of the sources listed below. Blade length – 10". Overall length – 14 1/2". 3rd item: 20th century Military Style Spear Point Knife. Wood grip panels affixed to the tang by three brass rivets, brass cross guard with two incised lines, spear point blade. Ricasso marked "C. HEINZ/COLUMBIA S.C.". Blade length – 8". Overall length – 12 1/2". Provenance: Estate of Jim Maconkey, Landrum, SC. CONDITION: 1st item: Overall good condition with light pitting to blade. Case with wear, loss to faux leather. 2nd-3rd items: Overall good condition with light pitting to blade.